I’m so excited to announce that we are rolling out a campaign with the Women’s March, Love Army, Our Three Winners, and many more this Valentine’s Day. We are staging a cultural intervention to #reclaimlove as a public ethic and force for justice. Starting this Friday, thousands of people will gather in person and online to connect, share, and learn how to practice Revolutionary Love. Will you join us? The campaign kicks off this weekend with watch parties for my new TED talk on Revolutionary Love — I can’t wait to share it with you! Then we all take over social media together to #reclaimlove on Valentine’s Day. We have some amazing voices joining us so far — Van Jones, America Ferrera, Ani di Franco, Melissa Harris-Perry, A. R. Rahman, Parker Palmer, Bishop Gene Robinson, Sister Simone Campbell, and many more faith leaders, educators, artists, scholars, and activists. Please scroll down for details — and forward this email to spread the word! On Friday, February 9th, TED kicks off the campaign with the release of a new “blockbuster talk” on Revolutionary Love by Valarie Kaur. Thousands will gather across the country to watch the talk this weekend and all month. This is a chance to connect in person and learn how to practice love as a public ethic. Already 100+ watch parties are planned! Host a Watch Party or Attend a Watch Party. 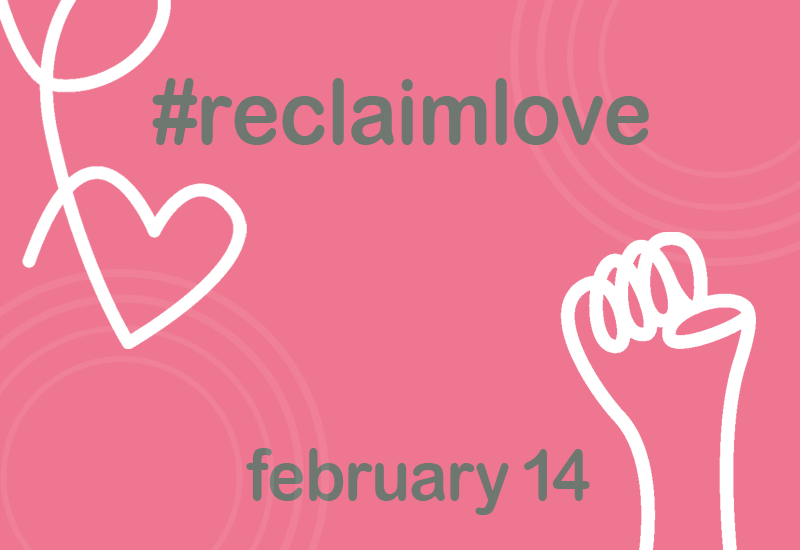 On Wednesday, Valentine’s Day, we are taking over social media with the hashtag #ReclaimLove. Post your pictures, music, stories, art, and ideas. Our message to the world: When we reclaim love as a public ethic, love becomes revolutionary. How are you reclaiming love? Sign up here to participate and we’ll send you a social media kit. We have mounted a powerful resistance against authoritarian policies and hate crimes that threaten our most vulnerable communities. This year, we will need to continue resist oppression and defend the pillars of our democracy. But resistance alone will not deliver us. We will burn out, or worse, start to mirror the forces we are resisting, especially as we enter this 2018 election season. So we are staging a cultural intervention to ground our lives and movements in the ethic of love. Each year on Valentine’s Day, “love” is captured by greeting cards and pop songs as purely personal and romantic — too fickle, too sentimental, and too anemic to be a political force. But the greatest social movements in history were rooted in love as an ethic. We believe it’s time to reclaim love but through the stories and struggles of women and women of color. Through a feminist lens, we see that love is more than a feeling. Love is sweet labor — fierce, bloody, imperfect, life-giving. That means love can be taught, modeled, and practiced. When we love others, opponents, and ourselves, love becomes revolutionary. Last year, we held the Day of Revolutionary Love, Day of Rising on Valentine’s Day. This year, we’re going even bigger with our #ReclaimLove campaign. And we will continue to build the movement together. We believe that we can make love a public ethic over the next twenty-five years — by the time the United States becomes a multi-racial nation. Starting now.